I forgot how delicious a Kamikazi is when made with quality vodka. Three ounces of vodka, in such large proportion to the other ingredients, really makes the vodka you choose a main feature of the drink. I enjoyed sipping a Divine Clarity Kamikazi with it's 100-percent potato vodka. This is a really clean vodka that is still produced in small batches. 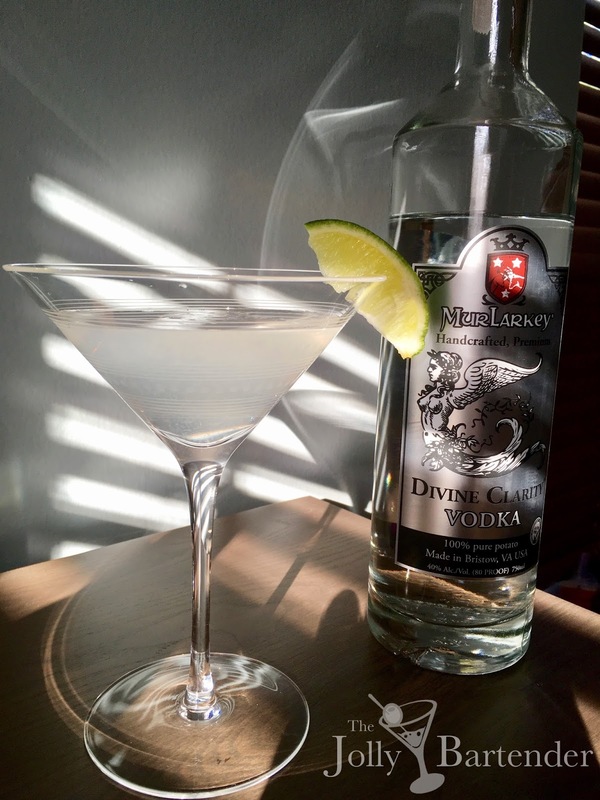 You can find it in Virginia ABC stores now, but if you can't get MurLarkey spirits, make sure you use a good vodka. That will keep this drink from sliding back to the pre-craft era of the 90's when bad cocktails were the norm. Combine liquid ingredients in a shaker with ice. Shake and strain into a chilled cocktail glass. Garnish with the lime wedge.